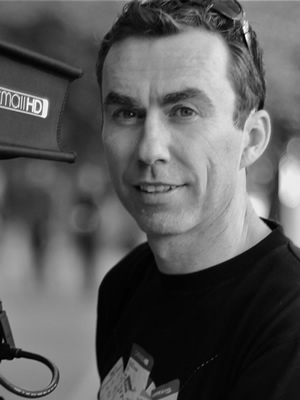 Ewen Allport is a Melbourne based freelance lighting cameraman with over 17 years’ industry experience. He began his career in one of Australia’s largest camera rental houses Lemac Film and Video, working in the rentals department and as a camera assistant to the late John Bowring. 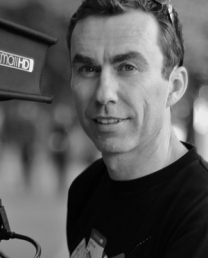 Ewen then moved to London and worked for Chilli TV on the world surfing tour in Ireland and France before returning home where he joined Network Ten working as a cameraman, editor and sound recordist for over 8 years. Since leaving Network Ten, Ewen has been working across a range of productions including TV series, TVCs, Doco and Corporate videos. He has worked both internationally and throughout Australia for all the major Australian television networks and for high profile corporate clients including Telstra, ANZ, NAB, Origin Energy, Westpac, Grand Prix Corporation, TAC, Caltex, AFL, Salvation Army, Life Saving Victoria and many more.